Adarsh Kumar Goel And Mrs. Daya Chaudhary, JJ. “(i) Whether in the facts and circumstances of the case the learned Tribunal was justified and right in setting aside the order of the Commissioner of Income-tax (Appeals) for de novo consideration and that too without reverting to the findings given by the Commissioner of Income-tax (Appeals) that ‘the provisions of section 44AD are not applicable, not only because the gross receipts are more than Rs. 40 lakhs, but also because the guidance from the provisions of section 44AD cannot be taken as he is a handling and transport contractor of food grains procurement agencies and does not have his own trucks for transportation of foodgrains bags. The trucks are being arranged from the Truck Union, Mansa. The labour has been arranged from the Punjab Pardesh Palledar Mazdoor Union, Mansa as the appellant cannot arrange the labour from open. The Assessing Officer has also not given even a single comparative case of the area having similar business. The Assessing Officer has also not taken pains to see the past history of the case. The appellant has shown the net profit rate of 2.844 per cent. for the assessment year 2004-05 and 1.700 per cent. for the assessment year 2005-06 after appeal effect when the gross receipts were Rs. 2,03,60,066. The rate disclosed by the appellant for the assessment year under appeal is around 3 per cent. of the gross receipts. However, keeping in view the deficiencies, as pointed out by the Assessing Officer in his order and considering his observations regarding unverifiable expenses in the absence of production of books of account, I deem it fit to restrict the addition to 4 per cent. of the gross receipts of Rs. 3,01,36,669 which works out to Rs. 1,20,54,671 as against the addition made of Rs. 24,10,933 by the Assessing Officer. The appellant, thus, gets a relief of Rs. 12,05,466 on this ground ? (ii) Whether in the facts and circumstances of the case the learned Tribunal was justified and right in relying upon the ratio of the judgment in Shri Ram Jhanwar Lal v. ITO  321 ITR 400 (Raj) in Income-tax Appeal No. 10 of 2006 ? (iii) Whether in the facts and circumstances of the case and in law the ex parte assessment made under section 144 of the Income-tax Act, 1961 should have been quashed in view of the categorical finding that notice of hearing for September 11, 2008 was not served on or before September 11, 2008 ? (iv) Whether in the facts and circumstances of the case and in law the rate of 3 per cent. should have been applied keeping in view the past history of the case and comparing of the case with truck union in the area ? 2. The assessee is a labour contractor. He filed his return declaring his income equal to 3 per cent. of the net profit. Gross receipts were declared to be Rs. 3,01,36,669, while the net profit was shown to be Rs. 9,03,274. The Assessing Officer rejected the figure of net profit worked out by the assessee on the ground that the expenses debited to the profit and loss account were not verifiable. It was held that in such a situation, the net profit rate should be worked out in accordance with the provisions of section 44AD of the Act, i.e., 8 per cent. in the case of a civil contractor where account books are not maintained. It was observed that though the section applied where the receipts were up to Rs. 40 lakhs, the same rate could be applied even to contracts where the receipts were beyond the said limit, where no accounts and documents were produced and application of such a rate was otherwise proper. Accordingly, the Assessing Officer made the assessment. 3. 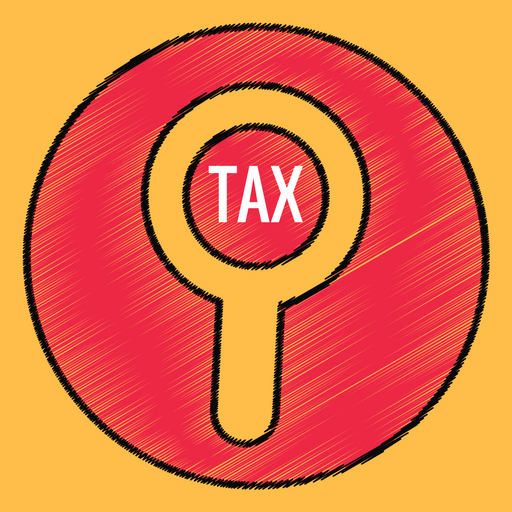 On appeal, the Commissioner of Income-tax (Appeals) restricted the addition to 4 per cent. of the gross profit. It was observed that the assessee did not get sufficient opportunity and since section 44AD was not applicable, the Assessing Officer was not justified in applying the statutory rate mentioned in the said provision. 4. On further appeal, the Tribunal directed the Assessing Officer to complete the assessment as per the books of account. 6. Learned counsel for the assessee points out that in the judgment referred to in the impugned order, it was held that section 44AD did not apply. Admittedly, books of account are not maintained. The Commissioner of Income-tax (Appeals) also proceeded on that assumption. There is no discussion or finding that the order of the Commissioner of Income-tax (Appeals) was erroneous. There was also no conclusion as to why the matter should have been remanded to the Assessing Officer. The Tribunal has, thus avoided its responsibility to act as an appellate court to take decision on correctness or otherwise of the view of the Commissioner of Income-tax (Appeals) and record its finding. 7. Learned counsel for the Revenue is unable to rebut the submission that there is no discussion or finding in the order of the Tribunal that the order of the Commissioner of Income-tax (Appeals) was erroneous and reasons for such a finding. 8. In view of the above, we have no option but to set aside the order of the Tribunal and remand the case to the Tribunal for fresh decision on the merits in accordance with law. 9. The appeal is disposed of accordingly. This entry was posted in Section 44AD and tagged 336 ITR, In favour of Matter remanded, presumptive taxation, Punjab And Haryana High Court, transport contractor.